Getting a ripped body would require you to work out regularly and maintain a protein-rich diet. You also need to take lean muscle supplements to achieve the body you’ve been dying to have. You’re far from having a Greek god physique. You have a pot belly and you are nowhere near capable of finishing a three kilometer run. The good news is that there’s still hope for you to turn things around. Achieving a slimmer body, however, takes a lot of commitment and dedication. Aside from working out regularly, you also need to watch your diet. Once you have gotten rid of those unwanted pounds and start to grow muscles, the next step for you is to build lean muscles. Having lean muscles not only makes you look good, but it also makes you a lot stronger. Lean muscles can improve your flexibility, and perhaps most importantly, ensure long-term fat loss. So how do you build lean muscles? Follow these three steps and you’ll eventually find yourself looking ripped just the way you’ve dreamed of. You might have heard that cardiovascular exercises like running and swimming are effective for building lean muscles. Yes, the truth is that regular cardio exercises can help you burn fat and expose the lean muscles underneath. But you should not spend a lot of your time doing cardiovascular exercises. While it can burn more calories, cardio workout can also stunt muscle growth especially when overdone. You need to cut down on your running and instead focus your energy on doing short yet intense strength training workouts. These workouts may range from bicep curls, squats, overhead presses, dead lifts and pull ups. To get the best results, spend a specific day to focus on a specific muscle group. For instance, you can focus on your legs on a Monday, and then do isolation movements like tricep extensions on a Wednesday. You must also give your body enough time to recover especially after intense workouts. Aside from having a rest day, you must have consistent sleep of at least eight hours a night. One of the more pitfalls in building muscles is boredom. Neophyte gym goers are particularly prone to getting bored in the gym especially if they do the same types of training. 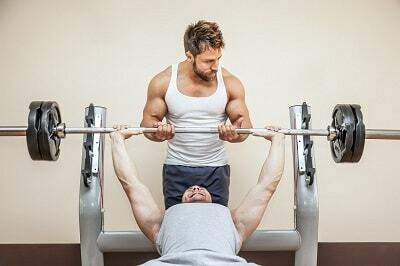 You must mix things up a bit so you won’t get bored and be able to sustain your weight training program. When you work out, make sure your body is hydrated. Drink lots of fluids before, during and after training. Just drink water—no need to spend on juices and energy drinks. No matter how disciplined you are in the gym, you won’t be able to achieve your goal of having lean muscles if you don’t watch what you eat. In order to build muscles and improve your strength, your diet should be rich in protein, the essential building block for muscle growth. There are specific foods that are excellent sources of protein for lean muscles. These include fish, chicken breast, egg whites, lean red meat, and non-fat dairy products. A common misconception among neophyte gym goers is that they have to stay away from foods rich in fats if they are to develop a ripped body. On the contrary, you would have to eat more fatty foods. Why? Fats would take longer for your body to digest. Thus, you will feel full for a longer period. Fats also boost the metabolism of the body. It aids in the production and balance of the hormones in the body, particularly testosterone which is a hormone essential in muscle growth. Foods like avocadoes, nuts, oily fish such as salmon and mackerel, and grape seed are excellent sources of healthy fats. These fats have a lot of health benefits like promoting the good function of the cardiovascular system and reduction of the LDL cholesterol. The fats you must avoid are those found in processed foods such as vegetable oils and margarine spread, as well as fast food staples like French fries and burgers. You must also increase your intake of vegetables which can give you a lot of nutrients and antioxidants. But vegetables won’t give you sugar the same way that fruits do. So you might want to eat more veggies and lessen your fruit intake. Lastly, you would have to use lean muscle supplements. These products can boost your strength and stamina allowing you to work out for extended period. Lean muscle supplements also help you lose fast quickly and build muscles in the process. Most lean muscle supplements are designed in a way that would allow you to rapidly absorb nutrients. Others enable the body to hasten muscle repair, so that anyone who takes it would be able to recover quickly from an intense workout. Still, other lean muscle supplements are formulated to suppress appetite to prevent you from overeating before or after a workout. You might have heard some horror stories about bodybuilders suffering from various side effects of bodybuilding supplements. While it is true that there are muscle gain supplements that can cause side effects like heart problems, seizures and kidney failure, the key is to find lean muscle supplements that are legal and 100% safe. Although most supplements for carving lean muscles are effective, not all of them are legal. Worse, most of these products can cause side effects. You must try muscle building supplements sold by a reputable sports nutrition company like Crazy Bulk. This is a US company which has a solid reputation for selling legal steroids and anabolics that help bodybuilders achieve their fitness goals without suffering from side effects. 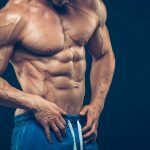 Crazy Bulk has a wide range of weight loss and muscle building products that could help you get ripped without necessarily building up muscle mass. When you try their products, you’ll notice a great difference in terms of your lean muscle mass. You’ll also get a boost in muscle stamina and endurance, so you could work out for a longer period. And best of all, Crazy Bulk can give you legal steroids for muscle building purposes at great prices. There is also an irresistible buy 2, get 1 free offer, although for a limited period only. Crazy Bulk also offers free shipping anywhere in the world.